Belgravia Centre Hair Loss Blog > Blog > Hair Loss > Is it Too Late to Tackle Male Pattern Baldness? When you’re losing your hair, it can sometimes feel that you alone are suffering the loss of your youthful looks. But in fact Male Pattern Baldness is even more common than most people think, and an estimated 50% of all men will suffer from the hair loss condition to some extent by their 50th birthday. Fortunately there a variety of treatments available today which can help men to prevent further hair loss, and even enable them to re-grow hair that they thought lost forever. But when is the best time to treat hair loss, and can it ever be too late to do something about it? Male Pattern Baldness is a genetic hair loss condition which can be passed on to an individual via either the paternal or maternal line. Also known as Androgenetic Alopecia, it can affect women too, though in a slightly different form, commonly referred to as Female Pattern Hair Loss. In those who carry the gene, a series of events within the body trigger the noticeable symptoms of Male Pattern Baldness- a receding hairline, bald patches and in some cases more or less total baldness. 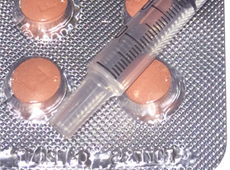 Firstly, the naturally occurring enzyme 5-alpha reductase converts the hormone testosterone into its more potent form, dihydrotestosterone (DHT). 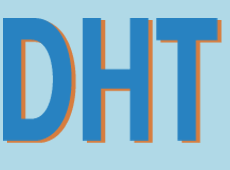 It is this DHT which has a negative effect on the hair follicle, causing it, and the hair it produces, to shrink. Over time the hair becomes so small that it can be barely seen by the naked eye. The different patterns of hair loss that each individual undergoes therefore follow the areas which have been affected by this hair-shrinking effect. The exact age at which the process begins can vary widely between individuals, with some experiencing it as early as their late teens, while others may not undergo noticeable hair loss until well into middle age. When is too late to have hair loss treatment? Once they get to a certain age and start losing significant amounts of hair, many men believe that because it’s ‘natural’ all they can do is let it take its course, and that hair loss treatments will not work for them. Fortunately, this is simply not true. 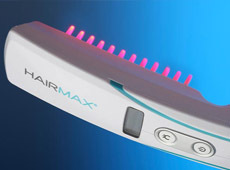 Provided the hair follicles are still functional, hair loss can be stabilised and regrowth can still occur. This is entirely independent of age, so even if you’re in your fifties or beyond, you can still take action to recover your hairline. Having said that, the sooner you do start treating your hair loss, the more effective the treatments will be and the greater the results that can be achieved. Just as a lawn with plenty of grass seed on it will react better to fertiliser than one with very little grass seed, the more active follicles you have, the more successful your treatment will be. 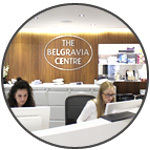 To begin tackling your hair loss today, get in touch with The Belgravia Centre. We help treat people with Male Pattern Baldness every day, using scientifically proven hair loss treatments, in conjunction with our various hair growth supporting products and close clinical monitoring. Belgravia’s hair loss treatment success stories are testament to the results that so many of our patients experience. They are the largest collection of their kind in the world and feature patients’ comments alongside photos taken before and after starting their custom courses; they show a variety of different patterns and forms of hair loss, which can be filtered to show the most relevant conditions, hair types, ages etc.